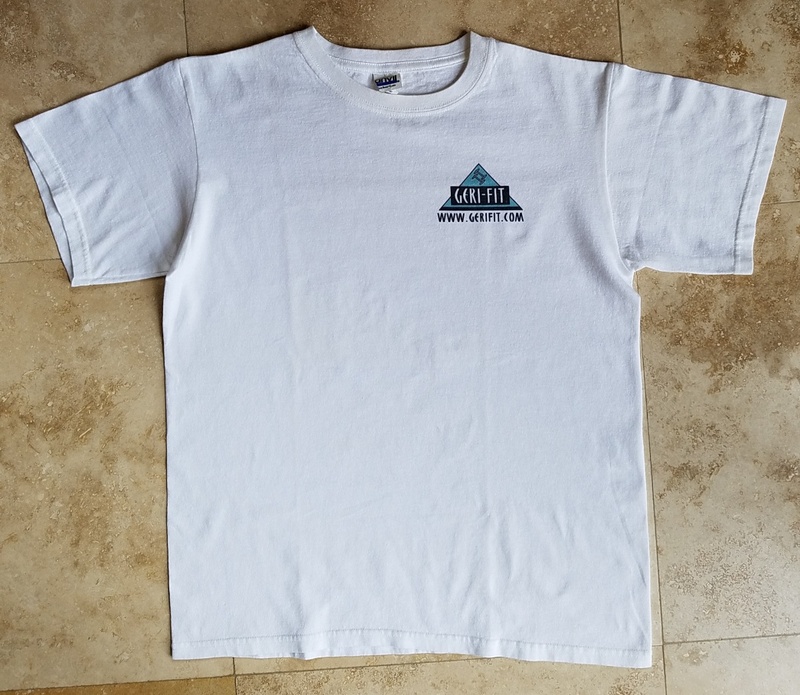 This all white 100% pre-shrunk cotton t-shirt has the Geri-Fit triangular logo on the left chest. Very plain and simple yet classic-looking. Available in small, medium or large unisex sizes. Please specify size in notes section if you order online or by phone at 1-888-437-4348.